Around 60 people attended our Trivia with a Twist event last Saturday night, and a good time was had by all. Whilst we had hoped for more attendees, we anticipate making over $600 for the Youth Committee to put towards their various projects. Thank you to the Youth Committee members and especially Tracey for organizing the event, many thanks to our sponsors and thanks to our members who organized tables or attended on the night. 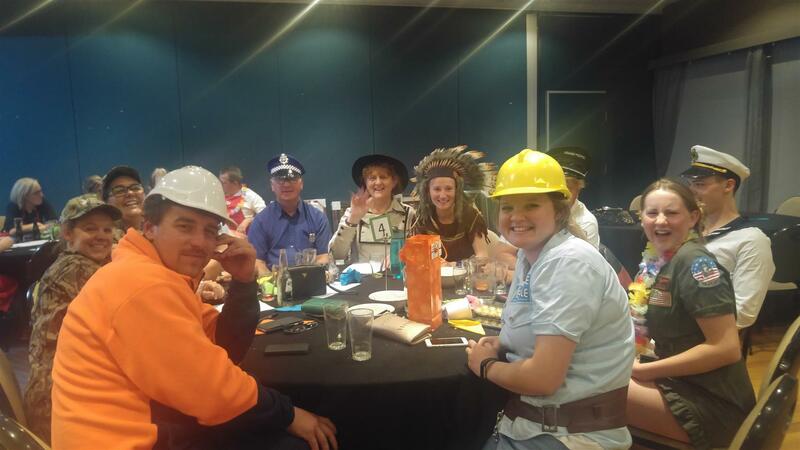 Pictured is the table that won the "best dressed" prize - an energetic group of "Village people" in uniform!